Stripe to commence operations in Sri Lanka? It has been agreed to commence operations of Stripe payment gateway in Sri Lanka, says minister of Digital Infrastructure – Harin Fernando. Initial agreements were reached during the official US tour and the Information and Communication Technology Agency (ICTA) is to take measures with regard to the relevant agreements. The minister said that this would greatly assist in providing digital payment facilities to SMEs. 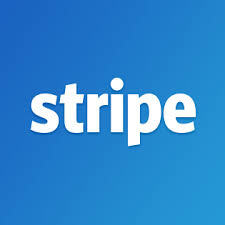 As soon as they receive the approval of the Central Bank of Sri Lanka, Stripe would commence operations in the country within the next 2-3 weeks, the minister further added. PayPal to be available in Sri Lanka from 2017? Mar 25, 2016 (LBO) – Popular worldwide online payments system PayPal has listed Sri Lanka for 2017, Minister of Telecommunications and Digital Infrastructure Harin Fernando said. “PayPal has listed us 2017, for them SL market is too small but we have convinced them and keeping a dialog, we have done our part,” Fernando said in his official twitter account. However, It is not yet clear whether Sri Lanka will gain the inward access to Paypal by next year. In 2014, PayPal moved 228 billion US dollars in 26 currencies across more than 190 nations, generating total revenue of 7.9 billion US dollars. Fernando however said one of the fastest growing payment gateway providers, Stripe is to enter Sri Lanka and ICTA is now working with stakeholders to conclude paperwork approvals. “Startups and small businesses can sell their products and receive payments to their local bank account through Stripe soon.” Fernando said. Stripe focuses on providing the technical, fraud prevention, and banking infrastructure required to operate online payment systems. What Organisations Can Really Get the Best Out Of ERP & CRM Systems?